From 21 July to 5 August 2017, an exhibition consisting of 19 placards was held in the Regional Museum in Toruń. 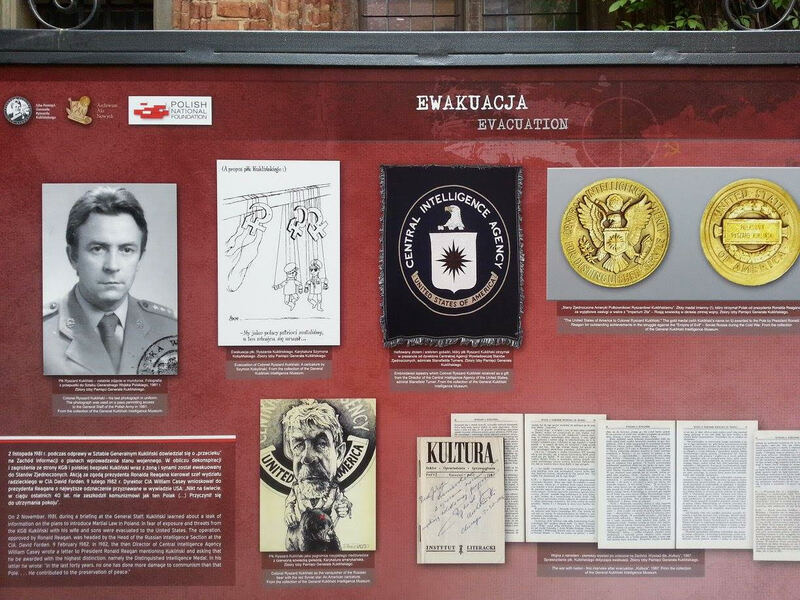 Visitors could see unique photographs, documents, and maps (including Warsaw Pact attack plans for Western Europe), learn the life of General Kukliński, discover the secrets of his intelligence work, and finally learn how he was recognised and acquitted by the Polish State, and why it took so long. We remember that this Polish hero, posthumously promoted to the rank of general last year by President Andrzej Duda, was convicted in 1984 by a military court in Warsaw and sentenced to death for treason for passing to the Americans the Soviet Union’s strategic plans regarding NATO and the countries of Western Europe. 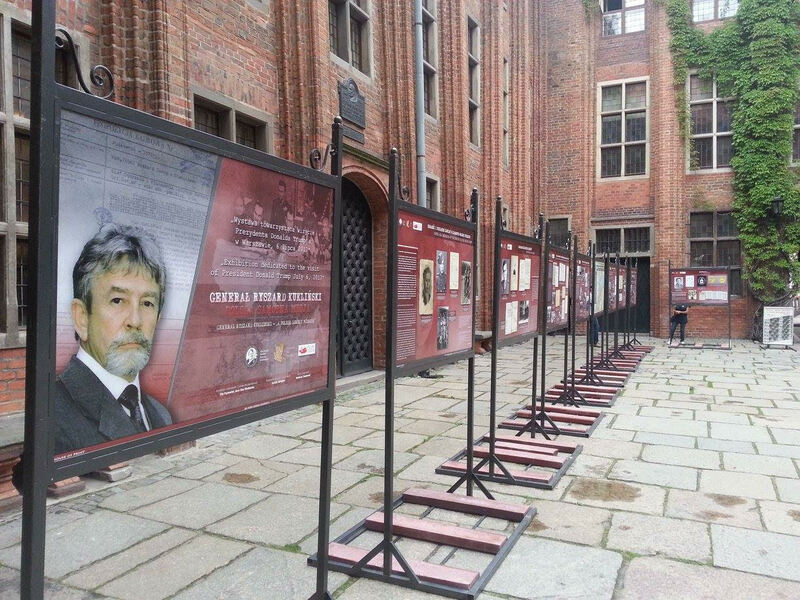 The exhibition is the outcome of many years work by the late Professor Józef Szaniawski, described by the Supreme Court as “the last political prisoner of the Polish People’s Republic”. 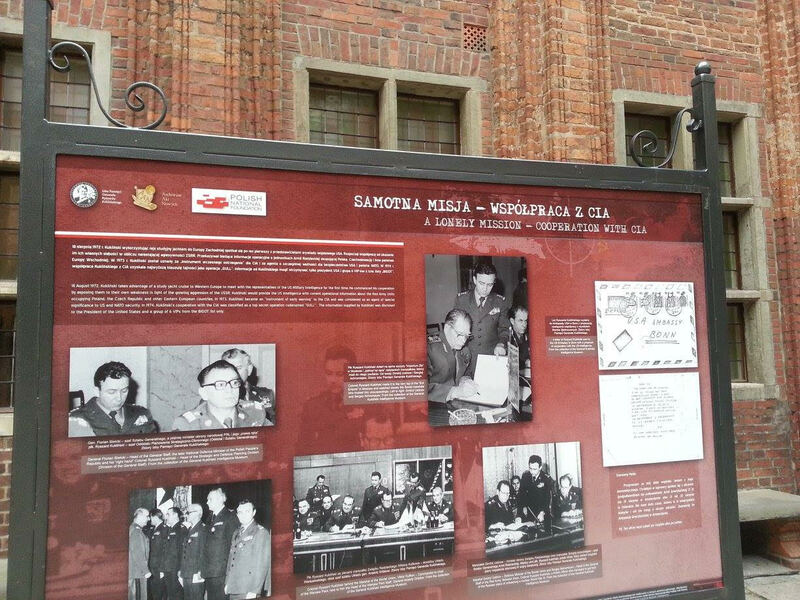 The organisers were the General Ryszard Kukliński Museum and AAN (the Central Archives of Modern Records in Warsaw).